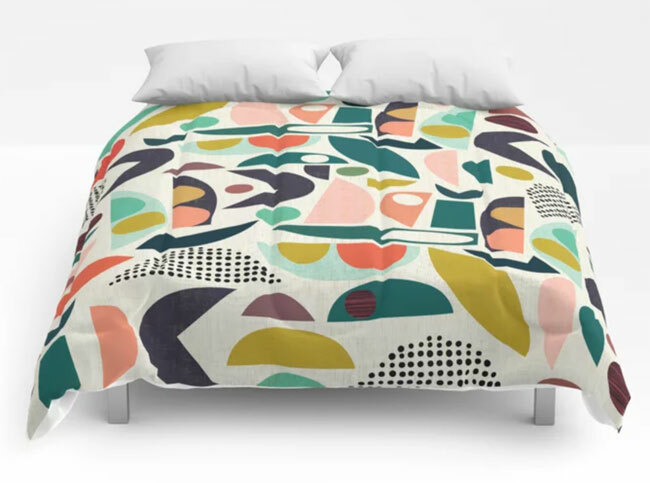 Looking to add some colour into the bedroom? 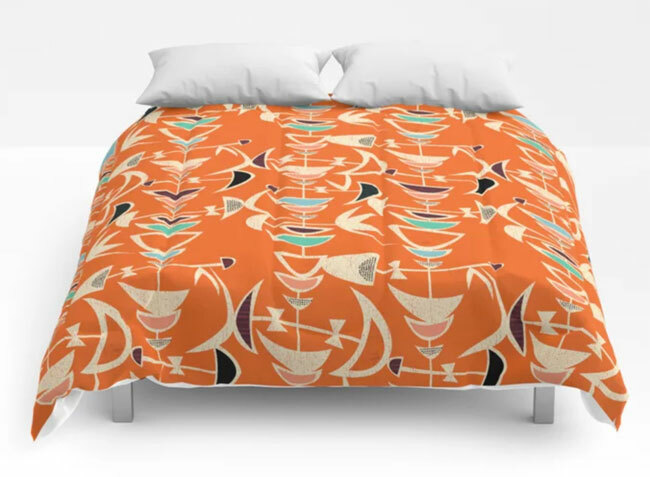 Check out these bold midcentury modern duvet covers by Jenn Ski. 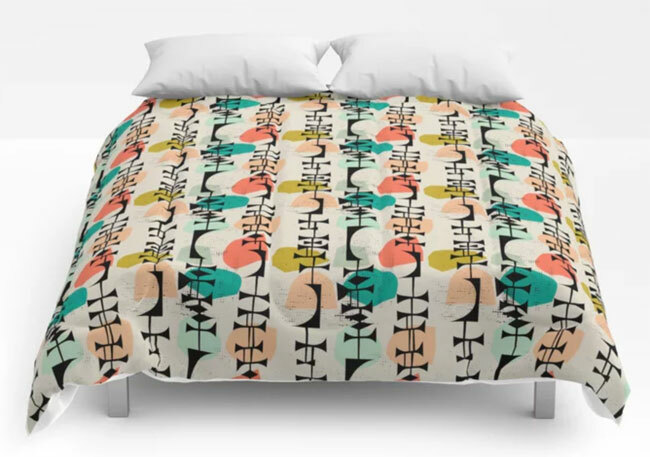 You might recognise the name, as I have featured Jenn Ski in the past, most recently the curtain designs that used similar patterns to the covers featured here. You could already have an example of her work in the house without knowing it too. 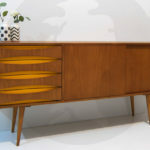 Do you have the Mid-Century Modern Complete book? If you do, that has a very memorable Jenn Ski cover. 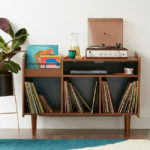 If you want more, check out the range for the bedroom and it is a range, as you can also get pillows and cushions if you want to throw yourself into it. 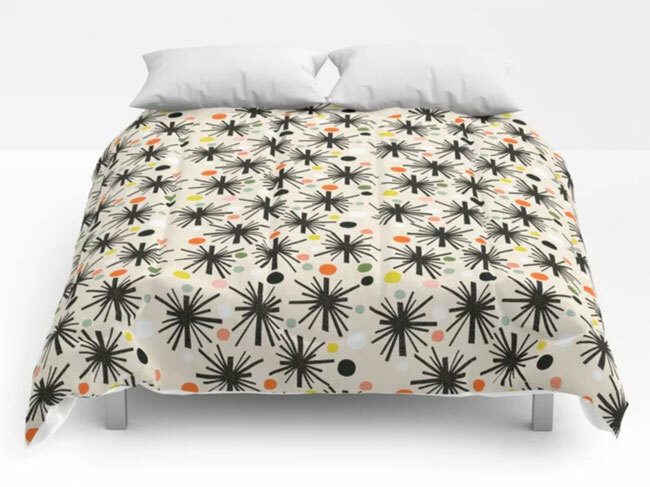 But the crowning glory is definitely the selection of duvet covers, which are far different to anything you can pick up on the high street. 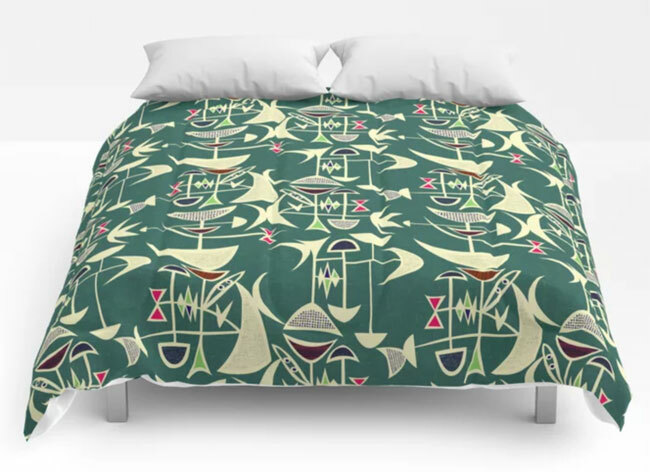 If you are looking for retro duvet covers on the high street, there are some good ones out there, but they tend to be a little more subdued than this range. 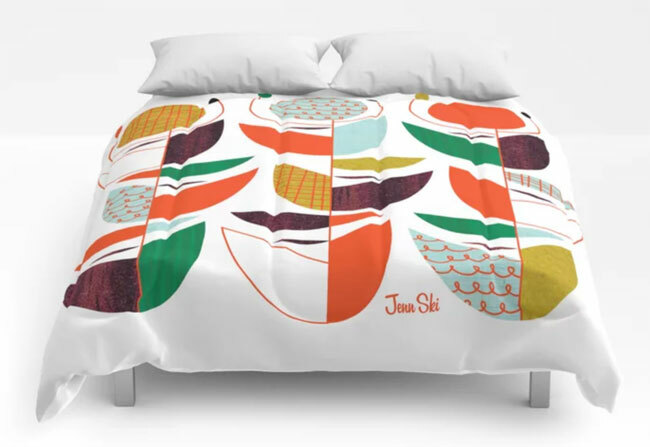 The Jenn Ski designs are all about brightening up a bedroom, especially if you have a plain finish on the walls. Each one is available in king, queen, full, twin and twin XL sizes and made of a rafted with soft, lightweight microfibre with hand-sewn finishes and hidden zip. Machine washable too. 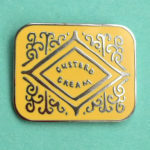 I have picked out a few of my favourite designs, but do have a browse for your own as there really are too many to feature here. The ones I have highlighted are the Dandy cover at the top of the page and working down the page you can see Pieces, Tiger Lilly, Peppermint, Tiki Confetti and Poplar. 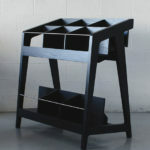 All are available online and all are discounted for a limited time too. Expect to pay from around $99. I think you might get a hefty discount if it’s your first Society 6 order as well.